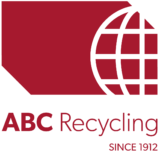 ABC Recycling purchases ferrous and non-ferrous metals, including household, industrial and demolition scrap. Appliances, end-of-life vehicles and most other scrap metal products that might otherwise end up in landfills can be processed at our facilities. We purchase ferrous and non-ferrous metals, including household, industrial and demolition scrap. Visit one of our nine locations throughout British Columbia and Alberta where we will service your scrap metal needs. ABC Recycling accepts Ferrous metals. Ferrous metals contain iron and have unique properties that non-ferrous metals do not share. ABC Recycling accepts all non ferrous metals. Non-ferrous metals, including alloys, do not contain iron in appreciable amounts. Please note that certain materials are NOT accepted as recyclable at ABC Recycling.